Thank you for your interest in WhiteFeather's Web Awards! It was a real pleasure visiting and reviewing your website. I found it very educational, interesting, detailed and extremely easy to navigate. A wonderful asset to the web community, your website has shown that every living creature has it's purpose, a wonderful reminder for us about conservation and nature. 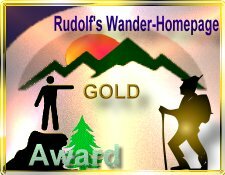 After reviewing your site per the criteria set forth within the WhiteFeather's Web Awards Program, I am pleased to inform you that your website has earned my Gold Award! Congratulations on a job well done! your requested an award for Tim's Spider corner.